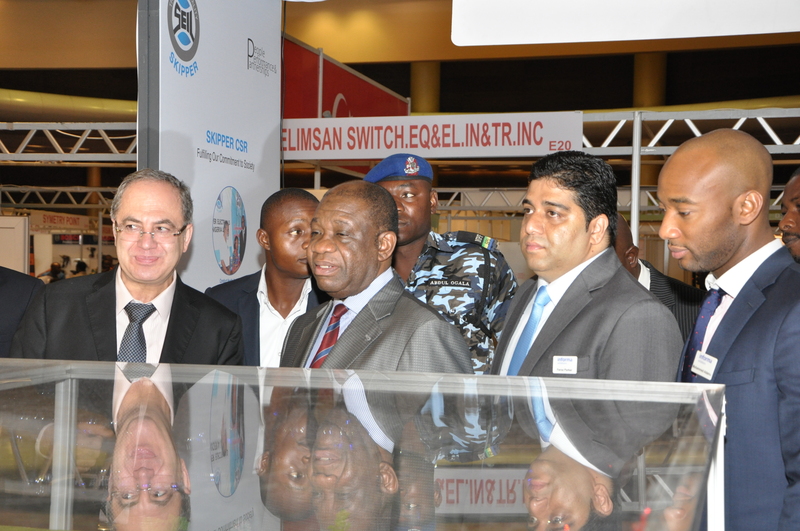 Skipper participated in Africa’s leading Exhibition for the Power Industry, Power Nigeria 2014, held at the Eko Hotel, Lagos from October 28-30 October, 2014. Skipper is a household name in Nigeria and as the lead exhibitor of the show, the Company showcased its capabilities in Energy Management solutions, Package Substation and energy efficient transformers. The products displayed were state-of-the-art and upgraded through our continuous research and development exercises, with the objective of making them more dependable, energy efficient and environment friendly. Skipper’s extensive stall was visited by a large number of visitors and they were enthused to see Skipper’s new products display. In a parallel session, Mr. Ketan Sehgal – VP Marketing, GTA Engineering Ltd., Nigeria, presented a technical seminar on “Efficiency Improvement Options for the Nigerian Distribution System” on October 28. Power Nigeria provided a healthy and professional platform for Skipper to interact with its end users and decision makers and to offer them differentiated solutions to improve their operational efficiencies.